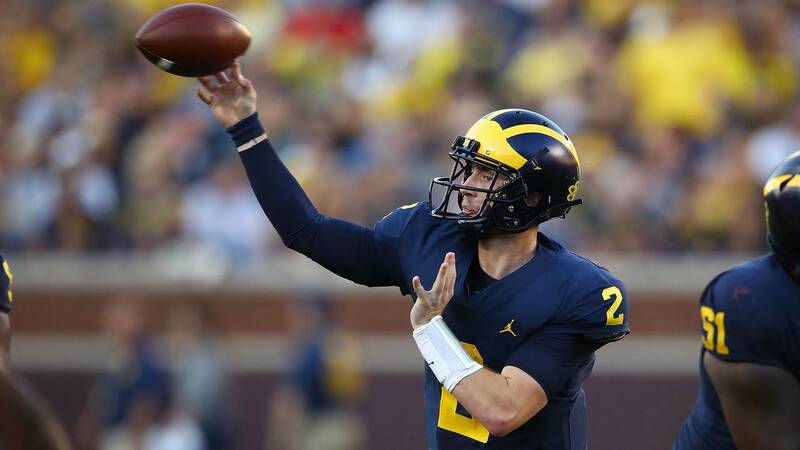 ANN ARBOR, Mich. - Shea Patterson has been an official member of the Michigan football program for less than a year, but midway through his first season, he's already leaving his mark on the offense. Patterson has helped lead Michigan to a 5-1 record with a loss to Notre Dame and wins over five heavy underdogs. 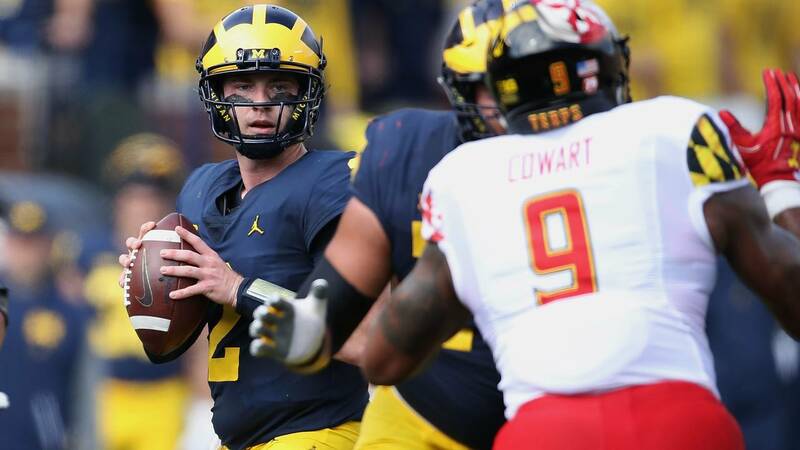 Coming off a disastrous year in which Michigan quarterbacks threw more interceptions than touchdown passes and nobody had more than 310 receiving yards, there's been nowhere to go but up. Here's a look at how Patterson has performed in his first six starts. In parts of two seasons at Ole Miss, Patterson was an explosive playmaker who took risks downfield. 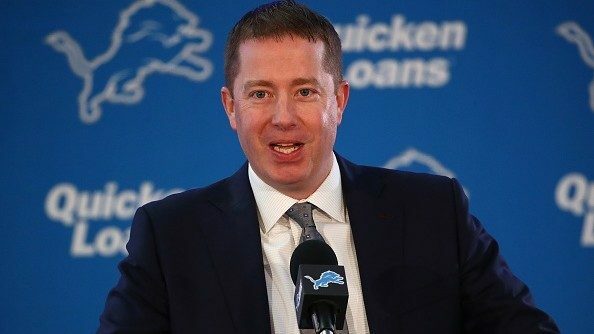 When he came to Michigan, he had to change that philosophy in Jim Harbaugh's more conservative offense. It hasn't taken long for Patterson to settle into his new style, as he's completing 68.8 percent of his attempts. Patterson ranks 16th in the country in completion percentage. He's second in the Big Ten only to Ohio State's Dwayne Haskins, who is a Heisman Trophy candidate. Michigan doesn't rely as heavily on the passing game as many other teams, but it's critical for a Harbaugh quarterback to be accurate on short throws and capitalize when play action opens up a target downfield. Patterson missed a couple of open targets early in the Northwestern game, but he has been largely on point both in the short passing game and downfield. The Wolverines racked up 465 yards of total offense (294 passing, 171 rushing), 24 first downs and went 9-of-13 on third-down conversions. The throws to Gentry and Collins might have been a step behind, but both passes were completed because Patterson fit them into the window. But the pass to Bell, even though it was on the run, couldn't have been better. He had the confidence to throw it right at a Maryland defender before Bell broke in front of him and caught the pass in stride, trotting into the end zone. The pass to Peoples-Jones was another dime on the run, and it led him just enough to turn upfield and score down the sideline. Interceptions were a crippling issue for Michigan last season, and Patterson came to Ann Arbor with 12 picks in 10 career games. He's been much more careful with the football as a junior, throwing three interceptions in six games and never having more than one in a game. Patterson's first game was the most problematic, but it came against a strong Notre Dame defense. 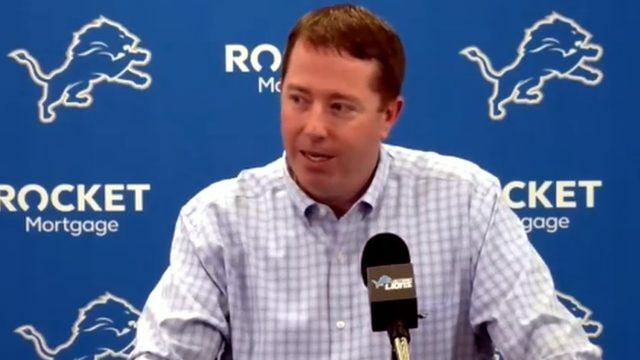 He was rushed into an interception by heavy Notre Dame pressure and fumbled the ball on the final drive while trying to make a play in desperation time. For a guy playing his first game in a system against a ranked team on the road, some of those mistakes can be forgiven. Since the opener, Patterson has thrown 10 touchdown passes and two interceptions. The offense as a whole ranks 15th in the country with five turnovers on the season. Most of Michigan's offensive personnel are the same as last season, but with Patterson taking over under center, the Wolverines have addressed the 21 turnovers they committed last season, which ranked 86th in the country. When fans hear the term "mobile quarterback," they often think of players such as Denard Robinson, who changed games by running for big gains. Patterson doesn't break long runs like Robinson did at Michigan, but his mobility has already been a huge factor. The most obvious example is the Northwestern game, when Patterson rushed for 31 yards on seven attempts. The total yardage doesn't stand out, but the moments in which Patterson decided to run were critical. Patterson scrambled for a first down on three critical third-down and six plays. The first came with Michigan down 10 in the second half and led to a field goal. The second extended Michigan's game-winning touchdown drive. The third ran 2:16 off the clock in the final moments and left Northwestern with 34 seconds instead of nearly three minutes on its final drive. Mobility isn't just about scrambling for Patterson, who also loves to extend plays in the backfield and find receivers. 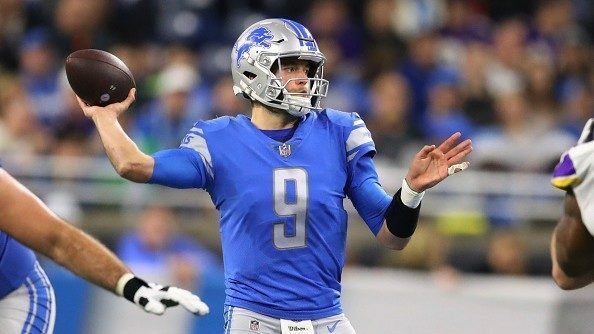 His touchdown passes to Bell and Peoples-Jones in the video above were perfect examples of how Patterson turned potential sacks into Michigan scores. 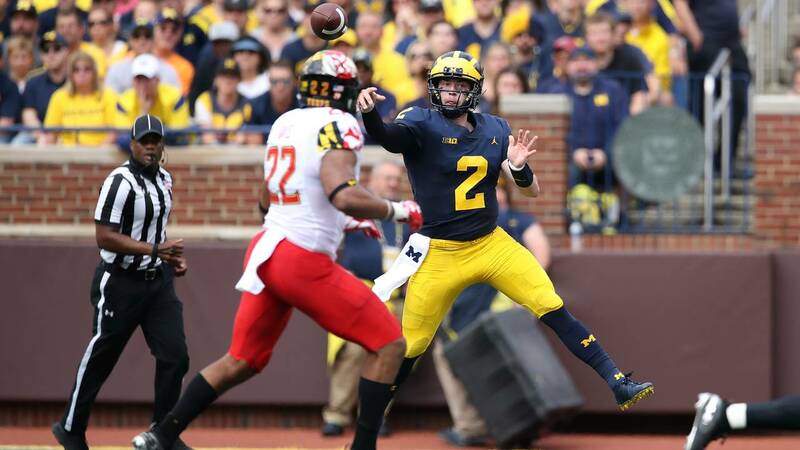 Patterson hasn't changed games with his feet in the way Trace McSorley does for Penn State, but it's added another dimension to a Michigan offense that desperately needed a spark under Harbaugh. The Patterson who played for Ole Miss probably would have had a better grade in this regard, but his decision making and accuracy would have taken hits. 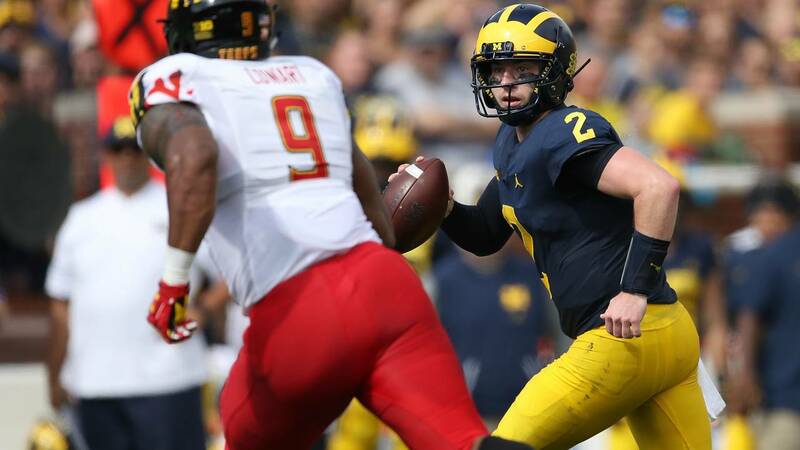 Michigan has played a few weak defenses this season, and the toughest challenges are still ahead, but Patterson has converted downfield when the opportunities are there. Peoples-Jones, Collins and Gentry provide plenty of chances downfield, and as a result, Patterson ranks 24th in the country with 8.6 yards per pass attempt. For an offense that relies on short crossing routes and wide receiver screens, that's an impressive number this deep into the season. Patterson's best throw against Maryland didn't even count, as he hit a streaking Peoples-Jones in stride for a long touchdown. A holding call brought it back, but it was an example of what made Patterson the No. 1 overall quarterback recruit in the 2016 class. Patterson hasn't been perfect, but Michigan's offense looks better than it's ever been in the Harbaugh era. He's doing it against weaker competition, though, and his season will be defined by his ability to keep this up against the best teams in the conference. 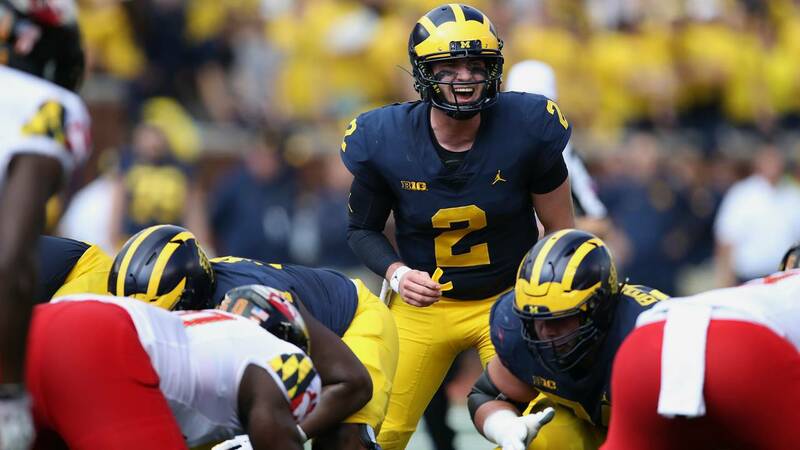 Michigan's offense is in much better hands this season, both in terms of protecting the football and the ability to make big plays in the passing game. 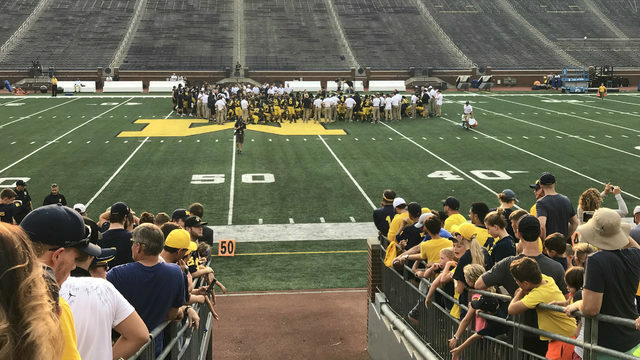 Patterson's first half of football in Ann Arbor was a success, but the second half will be much tougher.